The Indian Institute of Science (IISc) in Bengaluru has made it to the top 100 universities in the Times Higher Education’s World Reputation Rankings 2018, becoming the only Indian institution to make it to the prestigious list this year. 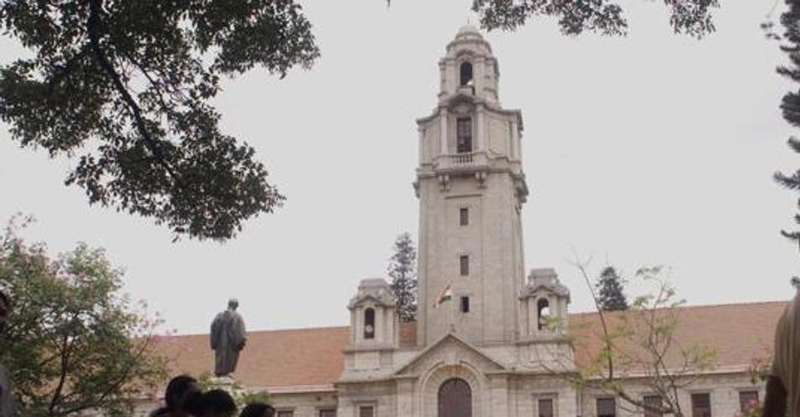 The IISc has been ranked in the 91-100 band of the annual list topped by American universities Harvard, Massachusetts Institute of Technology (MIT) and Stanford, with the UK’s Cambridge and Oxford completing the top five. “India features in the table for the first time since 2011, with its flagship institution, the Indian Institute of Science, making the 91-100 banding,” said Phil Baty, editorial director of the rankings, which are compiled from a globally representative survey of 10,000 senior academics on the most renowned educational institutions in the world. Founded in 1909, the IISc had started with just two departments — General and Applied Chemistry and Electrical Technology — but today has over 40 departments spread across six divisions: Biological Sciences, Chemical Sciences, Electrical Sciences, Interdisciplinary Research, Mechanical Sciences, and Physical and Mathematical Sciences. The UK has nine institutions in the Top 100, down from 10 last year, following Durham University’s exit. Several other UK universities also witnessed slight declines on last year, with University College London (UCL) shifting from 16th to joint 18th, Imperial College London falling from 18th to 20th and London School of Economics (LSE) slipping from 20th to 25th. The ‘World Reputation Rankings’ are created using what ‘Times Higher Education’ describes as the world’s largest invitation-only academic opinion survey and unique piece of research. The survey, available in 15 languages, uses United Nations data as a guide to ensure that the response coverage is as representative of world scholarship as possible. It is also evenly spread across academic disciplines.